Create a custom Samsung S8 case today. Any design you want on the back of your custom phone case. Stylish and sleek protection for your Galaxy S8 custom case. Have you always wanted a custom Samsung S8 case? Now you can! 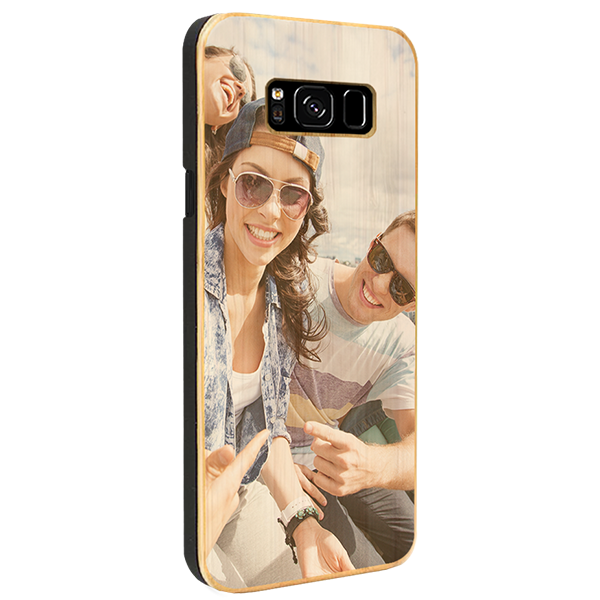 At GoCustomized you can find a custom Samsung S8 case made of all different types of materials, such as plastic, silicone, cork, and wood! All these custom cases guarantee that your phone stays as beautiful as when you took it out of the box. 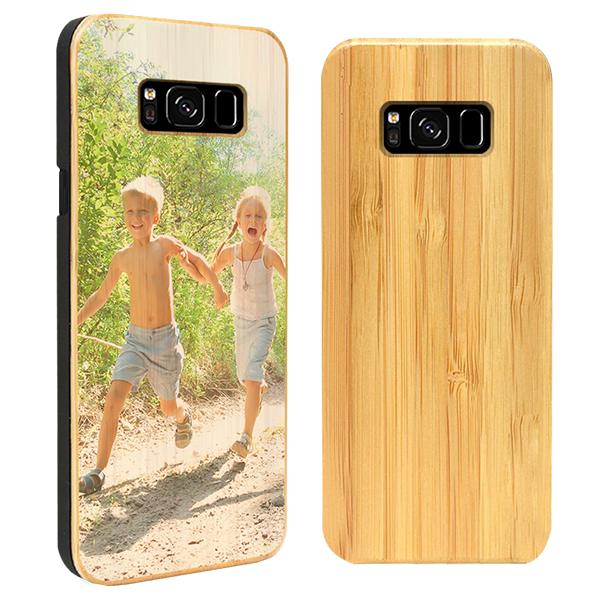 You can make a custom Galaxy S8 wood case with your own image or photo. Our wooden cases are made of bamboo, so it has the perfect feel, and it looks original and beautiful. The image you choose is printed in high quality, so you can enjoy your favourite moment. Each wooden case is handmade and carefully cut out of the best bamboo wood. What are you waiting for? Get started designing your own custom Samsung S8 case today! Designing a custom wood Galaxy 8 case has never been so easy and fun. The design module is very user-friendly and easy to use. We make sure that you know step by step what to do. In addition, the custom Samsung S8 case made out of wood is suited for applying the perfect image. Once you select your own photo or image, let the customizer instantly show you what your case looks like. Do you need some inspiration or you can't decide on which photo to choose? We got you covered! You can always choose one of our designs from our gallery or collection we have available in the customizer. Additionally, you can add your own text so your custom Galaxy S8 wooden case is completely personal. How long do I have to wait to get my custom Samsung S8 case? Are you finished designing your custom Galaxy S8 wooden case and you can't wait to get it? Luckily, you do not have to wait long! We will get started producing your custom phone case right away. The bamboo case protects your phone in style and ensures no-one can outdo your phone! If you have any questions, you can always contact our support team to know where is your order, how long it will take, or if there are any issues once you receive it. We are happy to help!